We’ve been handling auto collisions here in NYC since 1959. 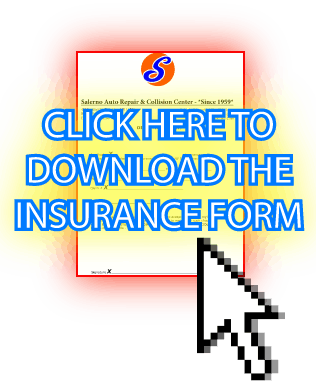 You can view and download our Insurance Form by clicking on the picture with the big arrow to the left here. Just print that out, fill in the fields and you’re ready to go! Call or text us with your vehicle information and repair needs and we’ll happily send you a free estimate to get the job done.